The trip from the Gold Coast to Siem Reap required 11 hours of being cramped in a metal tube flying 500mph through the sky. Nug and I went through numerous thunderstorms on our red eye flight. Neither of us slept a wink; me from tweaking and Nug because every time she began to nod off I would tug on her sleeve like an infant to tell her I was scared of the turbulence. She took it in stride even though I am sure she wanted to belt me in the nose. 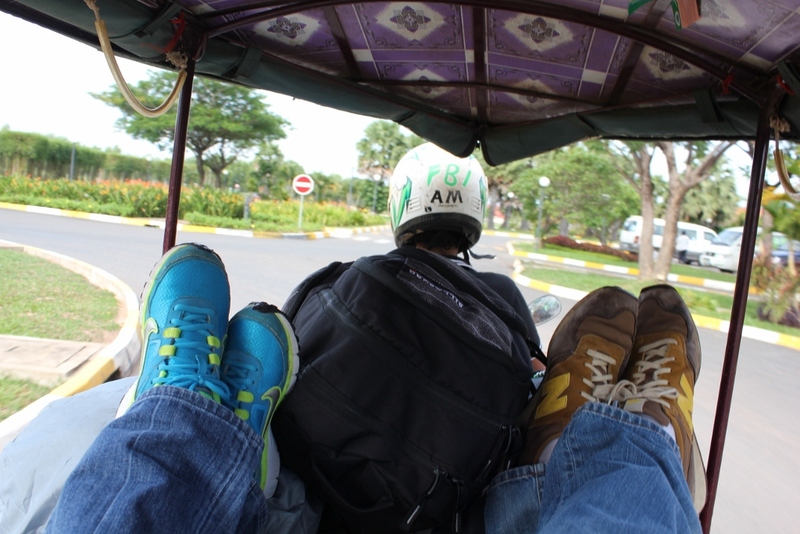 We arrived in Siem Reap at 7am and zipped through Cambodian customs. 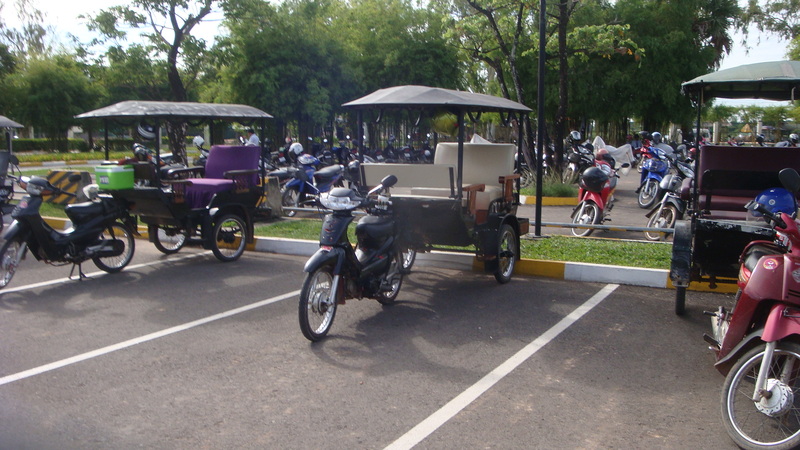 Once outside we were surprised to see that our hostel had sent a tuk-tuk driver for us. 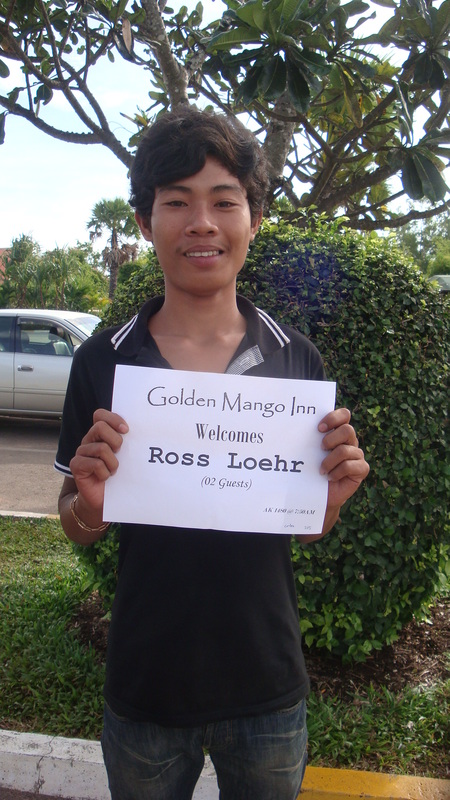 He took us to the Golden Mango Inn which is apparently a “flashpacker” hostel. I had never before heard this term but I guess we fit the definition. The Golden Mango price included a full breakfast, wi-fi internet, free bottled water, comfy beds, a killer pool, and free tuk-tuk rides to town. Compared to the dives that were available for $12 per night it cost a fortune at $19 but at the ripe old age of 30 I am willing to part with the extra cash and can justify it to myself. Nug happy that I’m giving her sleeve a rest. Plus, after living in Australia for the past 7 months it was sticker shock in reverse. We could not believe how cheap it was in comparison. 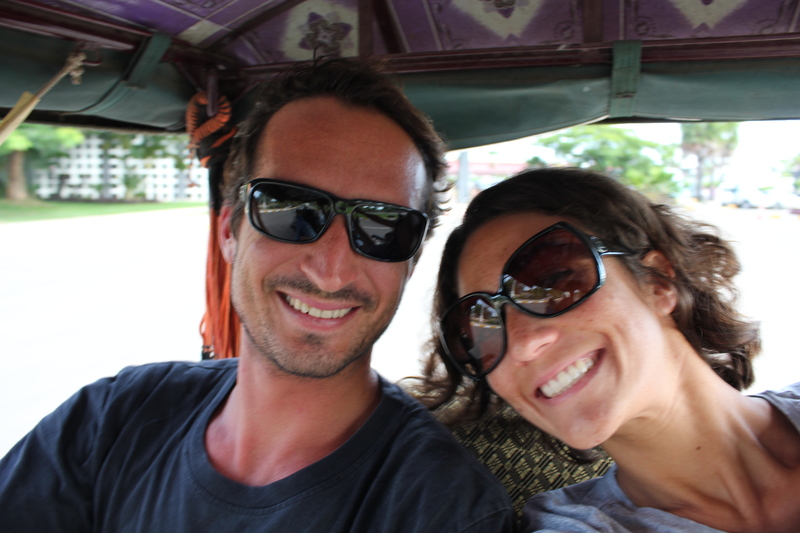 Within 5 minutes of arriving and on zero sleep we dumped our bags in the room and jumped on the first available tuk-tuk into town. We look forward to seeing your great photos and reading about your new adventures in Southeast Asia! Thanks Mom! It has definitely been a massive change from Australia.